I think I’m addicted to growing things. I honestly thought it was a little whim that would pass after a tad of experimentation, but nope, I believe it’s here to stay. 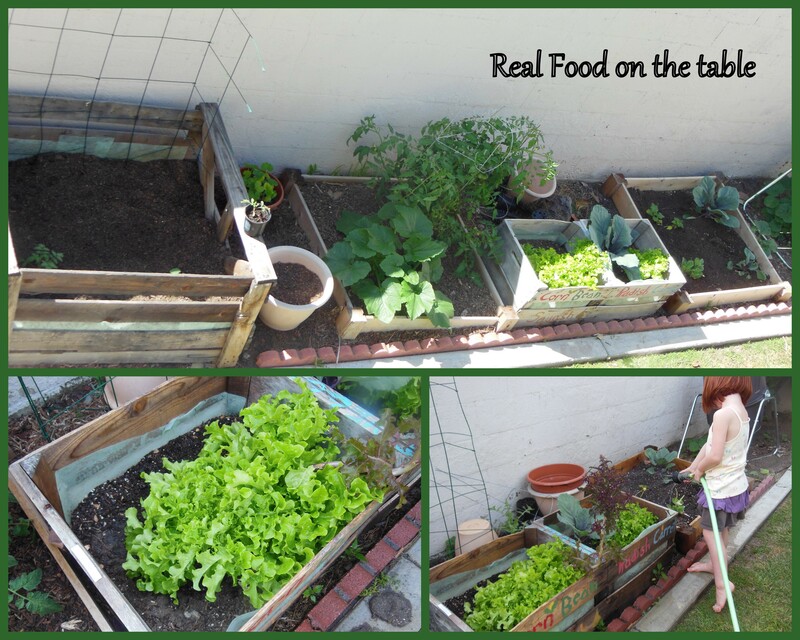 Last year, late Spring-ish or early Summer, we played around with a little gardening. A few tomatoes here, some beans and carrots there. “Borrowed” crates that served as planters. 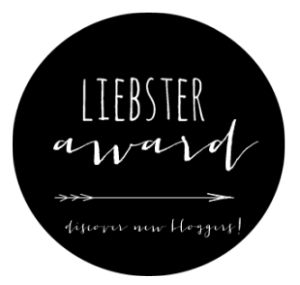 (You can read all about the beginning of this adventure here.) The kids got a kick out of it and I enjoyed watching them as they explored and enjoyed the wonder of real food growing right in our own back yard. Summer turned to Fall and the tomatoes kept right on producing. In fact, we picked some on Christmas day. The corn and beans turned barren and we replaced them with a few winter harvest items – like cauliflower and lettuce. Then there was a brief lull and we let things have some unattended “alone time”. I feel like a veritable little country girl planted in the middle of Orange County with a garden which boasts 3 tomato plants, 3 cabbage plants, 1 cucumber plant, 1 zucchini, 1 crook neck squash,1 cauliflower, 2 lettuce, 1 red pepper, basil, thyme, and multiple pumpkins (note to self on pumpkins – – – if you toss whole pumpkins in your compost, there’s a VERY good chance you will experience spontaneous pumpkin generation when using said compost soil!) My children, in their delusions of grandeur, were talking the other day about how we could run our own farmers market with our harvest. Easy girls, easy! Anyway, here’s a little shot of my ridiculously small, but massively enjoyable backyard garden. And here’s my challenge for you – grow something, anything, even if one small thing, in your own backyard this summer and experience the joy for yourself. 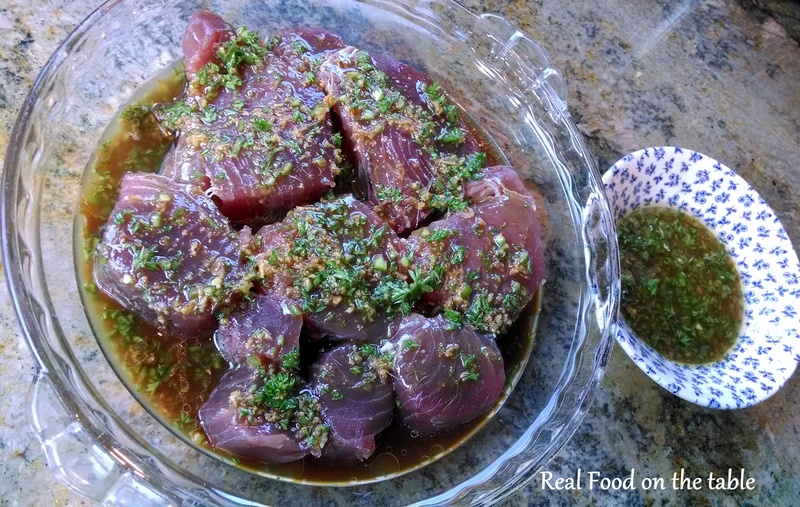 In keeping our food real this past week, I served up these Tuna Steaks with Ginger Chile Marinade. 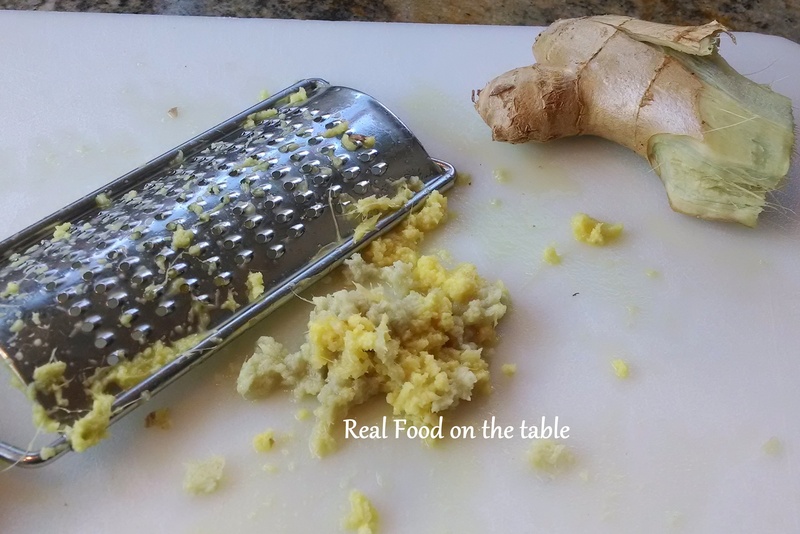 To start off the marinade, I grated some fresh ginger. I whisked the ginger with some rice vinegar, sesame oil, peanut oil, soy sauce, and fresh chopped parsley. Then I added in this little guy for a bit of a kick. I seasoned the marinade with a little pepper and then set aside about 3 Tablespoons. The rest I poured over the tuna steaks and let marinate (refrigerated) for about 40 minutes. After marinating (the tuna, not me), I preheated my grill and sprayed with a little non-stick oil. 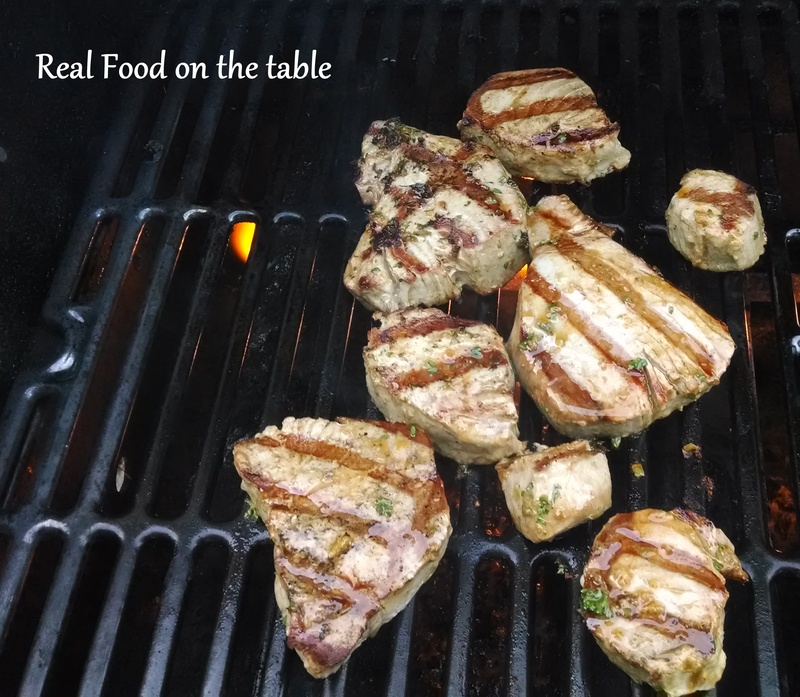 I grilled the tuna for only about 4 minutes total to keep them nice and rare. In fact, these ones were a little too done for my taste. Next time, I would stay closer to a minute and a half per side if preparing steaks of a similar thickness. 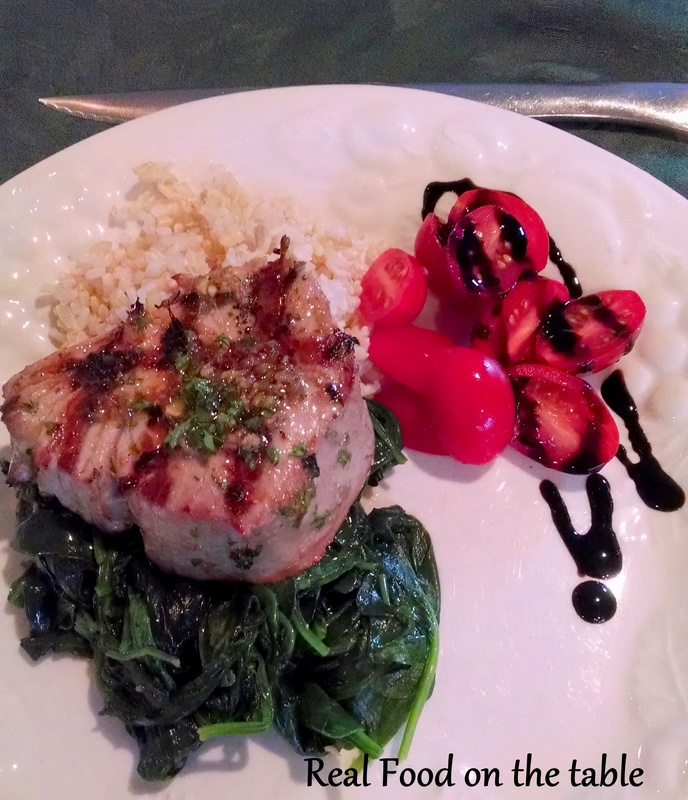 I served them atop a bed a steamed spinach and brown rice, accompanied by some balsamic cherry tomatoes, and spooned the reserved marinade over each steak. 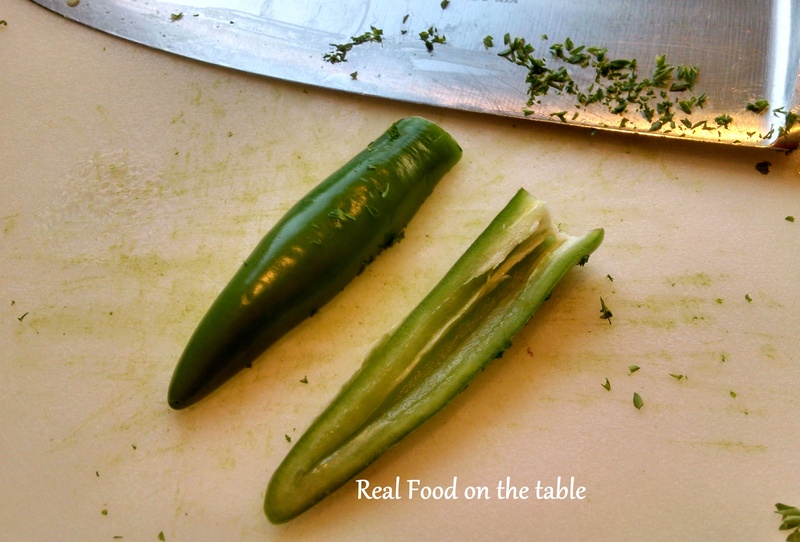 Yummy, easy, and quick! It doesn’t get much better than that.